Welcome to Acorn Trail Guide! 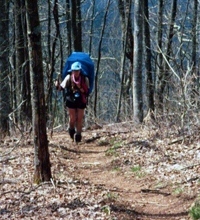 Our goal is to provide useful and essential information and resources for hikers – from day hikers and weekend explorers to thru-hikers – along the Appalachian Trail. 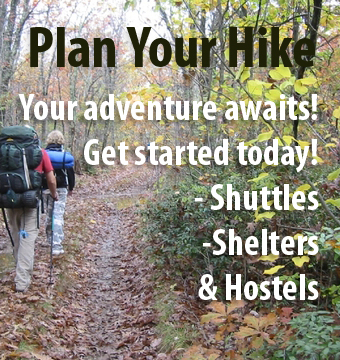 Our up-to-date lists of hostels and shuttle contacts will help you plan your next hike and save you the hassle and uncertainty of seeking these services. We will be expanding our information and also to include other North American trail information so we hope you will check our site frequently for updates! Also, check out our store for T-shirts, gear, and merchandise including items you won’t find in a “big box” outdoor retailer. 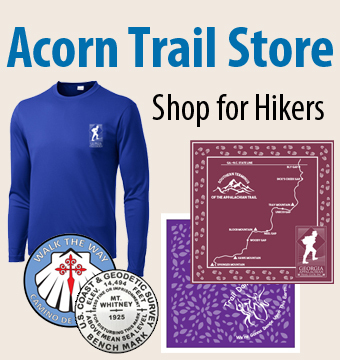 As a reseller and local hiking club promoter, your purchase of many of our items will bring awareness to these new products and support members of the hiking community. Enter your email address below to subscribe to our mailing list and stay informed about site updates, merchandise, blogs, and other resources!